Formerly known as the AANDC National Child Benefit Reinvestment (NCBR) Program. The IA - SAET program provides community-based support programming and Home to to Work training and adult upgrading opportunities for low-income families. AANDC’s IA - SAET is the on-reserve counterpart to reinvestment projects and programming. There are three activity areas for the BRFN IA - SAET on-reserve: support for parents; home-to-work training to employment projects; and cultural enrichment. The expected outcomes include a reduction in the effect of child poverty and decreased barriers for parents/guardians to become or remain attached to the workforce. The intent and overall purpose of the Income Assistance - Social Assistance Employment and Training initiative is to assist low-income families on-reserve in transitioning from Income Assistance to paid employment while addressing the root causes of child poverty. Additionally, this initiative seeks to reduce the Income Assistance dependency of families with children and single parent families. Targeted investments through the various activity areas of IA - SAET will support the advancement of low-income families to contributing members of the labour market. Big River First Nation is committed to provide supports to the low income families in the BRFN community through the IA - SAET Community Based Support program. This program provides the supports for culture and language retention to keep traditional values and the Cree culture ways of life alive. 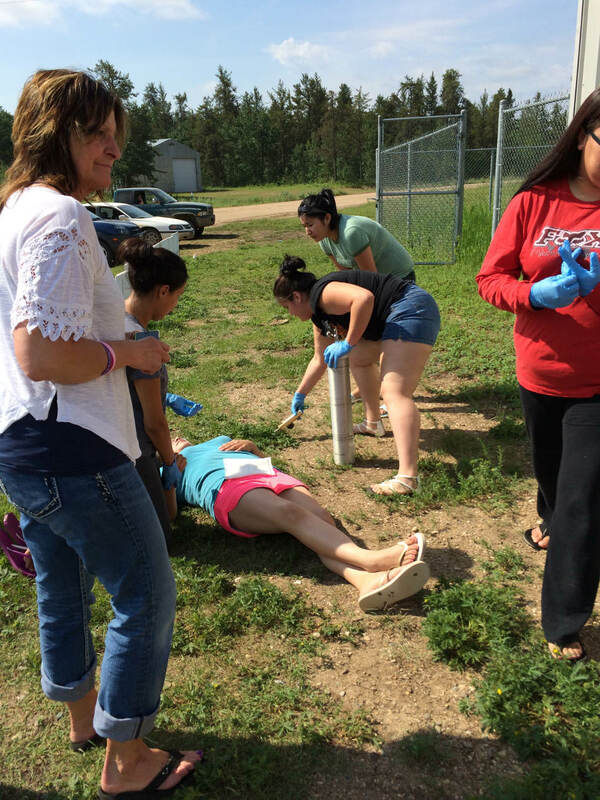 Various workshops are held year round for families and youth to be able to practice Cree values of; oral history, oral storytelling, land based life skills, as well as culture camps for youth in schools, community cultural ceremonies, etc. Other areas of Community Based supports include providing workshops for parents, teen parents, and youth. The Big River First Nation Home to Work Program provides on reserve training to employment initiatives as well as adult education upgrading opportunities for on reserve residents. The training to employment initiative includes skills and trades training opportunities on the Big River First Nation for BRFN residents who are: on Social Assistance through Big River First Nation, on Employment Insurance benefits and living on reserve, on low income living on reserve, or who have no income and living on reserve. BRFN also provides several opportunities for membership to acquire adult upgrading through partnerships with Saskatchewan Indian Institute of Technologies (SIIT) for an Adult Upgrading 12 program located on Big River First Nation. BRFN also partners with North West Regional College (NWRC) to provide an Adult 10 and 12 program located in the town of Debden. The NWRC also provides a Level II Pathways program for adults who requires literacy and math upgrading to enter the adult 12 program. Clients have the opportunity to attend either institution based on their case plans. Clients can work with the BRFN Job Coach and the respective schools to determine their education and training goals.